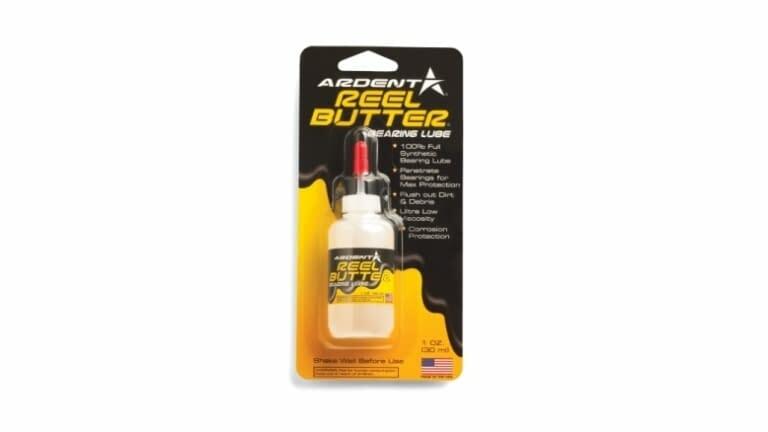 Ardent's Reel Butter Bearing Lube is an effective method of ensuring your reels are performing at their peak. The 100% synthetic Reel Butter Bearing Lube's ultra-low viscosity allows it to penetrate bearings to provide silky smooth performance and maximum protection against corrosion. Reel Butter Bearing Lube also works to flush out harmful dirt and debris. Size: 1 oz.